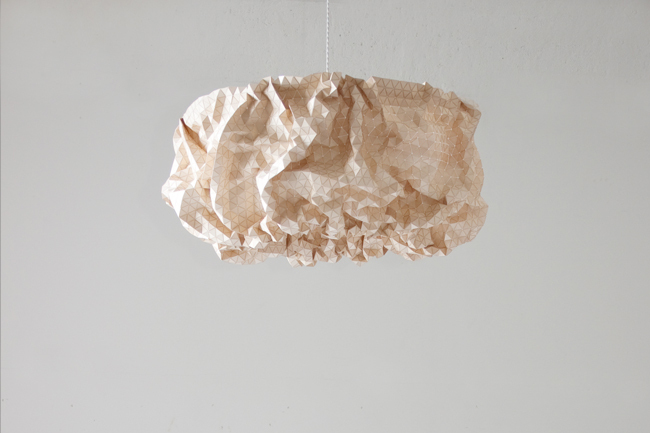 The pendant lamp “Miss Maple” is showing the use of a familiar material in an unconventional way. We usually experience wood as a plain surface, but here it is broken down into a grid of triangles. 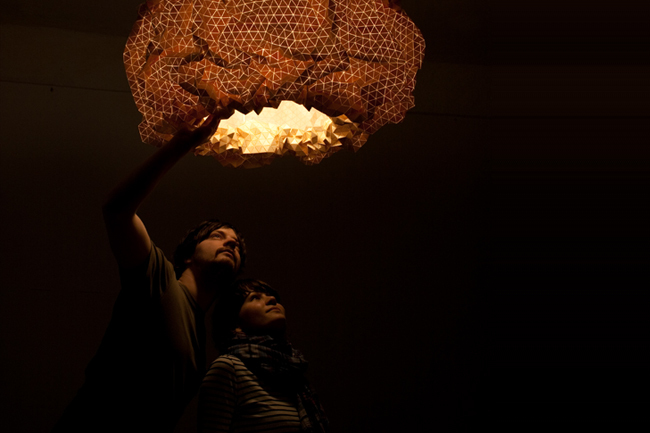 This makes a flexible lampshade which can be transformed manually in three-dimensional ways. 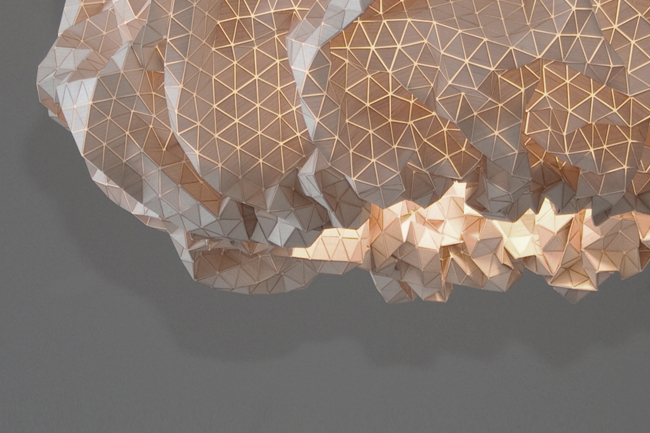 While the lamp generates warm light at night the surface outside becomes more evident with daylight and turns the lamp into sculptural object. Hi Nathalie, Terug van lekker weggeweest? Groet uit Limburg, fijn dat je er weer bent. Vandaag is het Limburg Festival weer van start gegaan. Geweldige activiteit, met meer dan 100 voorstellingen op 40+ locaties. Ben vrijwilliger op het Ommetje Opera. I like the idea of being able to alter the shape of it, like a mobile sculpture. I love the versatility of it! !